Heal physically, emotionally, mentally or spiritually. Overcome hardships during times of disaster or violence. It is thought that Ministering angels are created each morning to bring gratitude, comfort and joy into the universe and are reabsorbed into the divine ethers every evening. These angels minister to any being in need of divine assistance. 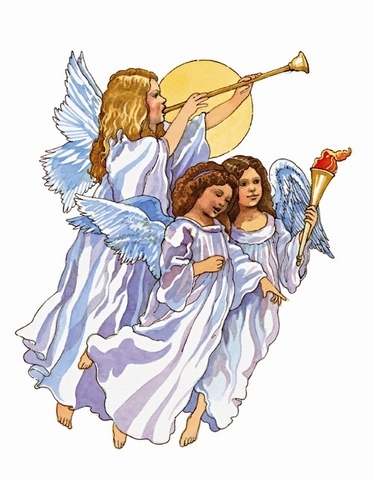 In some traditions they are considered the highest order of angel, while in other systems they are considered to be at the bottom of the angel hierarchy. It isn’t clear how many Ministering angels there are, but when you need the services of one, rest assured there are more than enough Ministering angels to go around. Although nameless, they are a very powerful force of healing and come readily when they are invited. When you awaken in the morning ask for their guidance, love and direction. If you are feeling ill ask them to heal your physical body. A wonderful way to start your day is to develop the habit of calling upon your Ministering angels . Create an altar by placing a beautiful piece of cloth in a place where the morning sun will fall upon it. Find a glass that will sparkle in the sunlight. Each morning fill the glass with water and take a moment or two to ask the Ministering angels to guide you and protect you for the day. Before you go to bed take a moment to give thanks for another wonderful day and empty the glass. As you pour out the water visualize yourself sleeping soundly and awakening renewed and refreshed. If you are feeling ill, hold a glass of water in your hand and ask for their healing. Imagine their love and healing energy pouring into the water and then drink it.